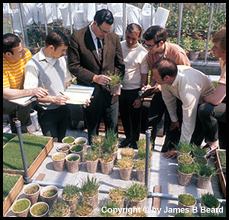 In 2003, the Turfgrass Information Center (TIC) and the MSU Libraries received Harriet and Dr. James B Beard's impressive collection of turfgrass research materials. This resource is generally acknowledged to be the finest personal compilation of turf-related material in existence, with international coverage of the turfgrass research and management literature, including books, periodicals, and technical reports. 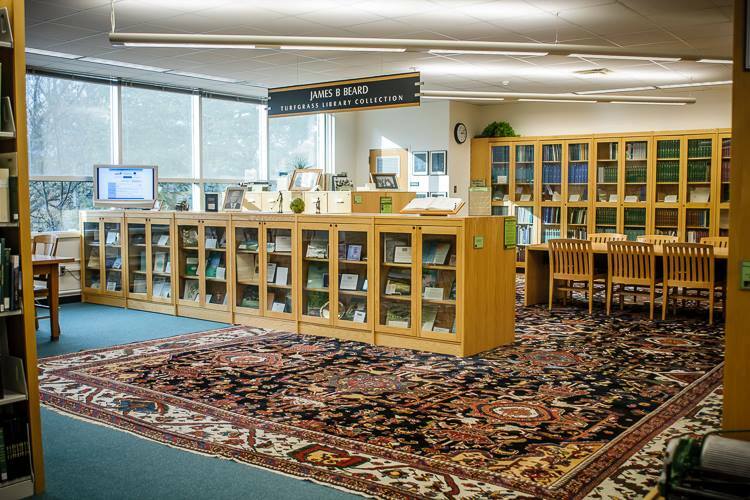 The Beard Collection serves as a non-circulating reference collection within the Turfgrass Information Center in the Main Library. This generous donation continues the efforts by Harriet and Dr. James B Beard in support of the Center’s work and objectives, including the TIC Endowment. It was under the direction of Dr. 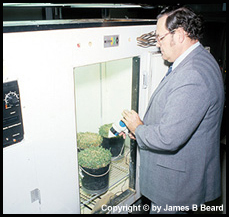 Beard, and then–Library Director, Dr. Richard Chapin, that the MSU Libraries began to systematically collect printed turfgrass materials in the 1960s. In 1968, the personal collection of the late O. J. Noer, a pioneer turf agronomist, was added to the holdings through the O. J. Noer Foundation. The arrival of the Beard Collection solidified MSU as the strongest public repository of turfgrass literature in the world. Beard’s classic Turfgrass: Science and Culture, published in 1973 and still in print, continues as the only true treatise ever written regarding turfgrass science. Much of the book was written within the walls of the MSU Main Library. His Turf Management for Golf Courses, first released in 1982 and revised in 2002, remains the best-selling reference work in the field. 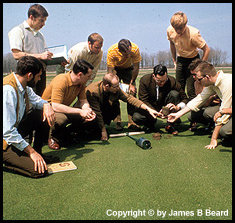 In 2014, Beard published Beard’s Turfgrass Encyclopedia for Golf Courses – Grounds – Lawns – Sports Fields with the Michigan State University Press. Dr. Beard served at Michigan State University from 1961–1975, and at Texas A&M University from 1975–1992. After his retirement from Texas A&M, he became President and Chief Scientist of the International Sports Turf Institute. For the 2003 Collection dedication, historic works representing the evolution of published turfgrass science and practice were featured. View the TGIF Records for these Items. Some materials from the Beard Collection may be borrowed through your local library's Inter-Library Loan capability. Take a copy of the full TGIF record to give them when you make the request. See our Interlibrary Loan and Document Delivery restrictions.